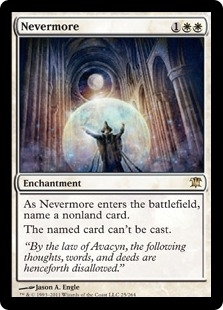 As Nevermore enters the battlefield, name a nonland card. The named card can't be cast. "By the law of Avacyn, the following thoughts, words, and deeds are henceforth disallowed."